This One Danger Could Take Your Baby’s Life – Please Watch! 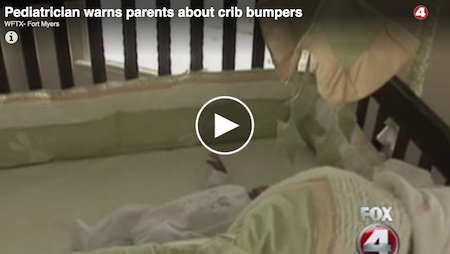 Bumper pads are a normal accessory in an infant’s crib. You may have them in your baby’s crib right now. However, experts say the dangers of this common baby accessory are very real, and if you have a baby that rolls over in his or her crib, the pads can cut off the babies area of breathing. Please watch this important video below. It may save your child’s life!